Is that all true? Or are these unfair expectations we’ve attached arbitrarily to a numerical value? Not sure. I think there’s wisdom in thinking ahead. But sometimes what’s even more valuable to us than planning is reflecting back on what we’ve already experienced, so that we can move forward smarter and happier than before. From ages 20-29, I’ve lived in six different countries, on three different continents. I’ve been a waitress in Boston, an English language teacher and tutor in Morocco, and an account executive in Los Angeles. I’ve learned how to roll baguette dough, teach Shakespeare, and develop marketing plans. And I’ve made a lot of friends and colleagues in the process, people often very different from myself that have challenged me and my perspective on what it means to love and to be a good friend. In the process, I’ve learned what to value in the big picture, keep in mind on a daily basis, and overall prioritize during this decade. Regardless if you’re twenty-something or not, here are 10 life lessons to keep you flourishing. 2. Pursue your passions. Now. There is a time and a place for everything. But putting off what you’re really passionate about will only cause you to be dissatisfied and unfulfilled. Even if you can’t make a career out of [film, lifting, baking, fashion, __________ ], I encourage you to be consistent and intentional about making time and space for your personal passions. As a teenager, I ate a lot of sugary carbohydrates (cereal and power bars), and ran almost every day. And I also spent a lot of time unsatisfied, bloated, and battling to maintain my weight. In my twenties, I’ve learned to eat more greens, more fat, and lift weights. And I feel tons better. Listen to your body, avoid too much sugar (sorry, that’s not good for anyone), and learn what works for you to feel and look your best. (P.S. a paleo salad for lunch is never a bad idea). Do not undervalue or forget about the power of prayer. Whether you’re struggling in a relationship, dealing with health problems, or simply trying to figure out your next step, stop and take the time to be still and speak to God. Don’t act impulsively, freak out, or distract yourself with media or entertainment. Talk to God about it, and believe that He will answer. 5. Don’t make everyone happy. I think that women in particular can sometimes feel like they need to make everyone happy, all the time. That means a lot of saying “yes” to people who ask for our time or other resources, even when we don’t feel like it or know that it will come at a great personal cost. For me, people-pleasing has caused me to avoid difficult conversations and confrontation, which has ultimately resulted in more pain and conflict. The goal is not to make everyone happy: it’s to love others, and love yourself. On the same note, try practicing saying “no” more than you say “yes.” Your “no” means that you value yourself- and your time- so much that you know how to turn down an offer (for a job, a relationship, etc.) that may look good, but still isn’t in your best interest. Remember that the more you are cultivating and excelling at what you’re passionate about, the more opportunities will come your way. Know which ones to take, and which ones to leave behind. 7. Get to know yourself and take a personality test. When I first learned about personality tests, I immediately decided they weren’t for me—I couldn’t be put in a box. I have since realized that a) I’m not nearly special enough to elude psychoanalytic categorizing, and b) personality tests help you to understand yourself better, and as a result, make better choices. I would recommend the classic Myers-Briggs for its thoroughness (I’m an ENFP, if you’re curious), which you can take for free, but most I’ve taken are helpful, including the DiSC tests and Gallup StrengthsFinder. 8. Make friends with people who are different from yourself. Some of my greatest challenges and most rewarding moments have come through learning to grow in deeper friendship and trust with people who are different from myself. That can mean any number of things. I’ve had friends with extremely different personalities (type A and highly structured), and from extremely different cultures (Middle Eastern). When I was living overseas, my roommate was a Norwegian woman in her fifties. With her wisdom, generosity, and kindness, she became one of my closest friends and confidantes. When we hold back from being friends with people who are older or younger than us, or have different interests, or who are from different cultures, we miss out on opportunities to learn, grow, and receive. With one of my closest friends, Amina, in Morocco. Let’s say you’re 25 years old, finishing up graduate school. A couple of your close friends are engaged, entering into marriage. Some of your friends have held steady jobs since college, and are climbing the corporate ladder. Still, a few are skipping from job to job, and traveling in between. And you are slogging away at school, and only now facing new financial obligations. It’s easy to look at your friend’s life (or the life of someone on social media), and think she has it better than you do. But the truth is, the new mom you’re jealous of may be envying the freedom you have to travel. And the girl who has a gorgeous IG account and 10k followers may wish she just had a steady job and a 401k. Figure out your own path, and follow it. Everyone has their own process and journey, especially during this decade. In 2015, I spent three months at a ministry school in Mozambique, one of the poorest nations in the world at the southern tip of Africa. I left my laptop at home and brought my iPhone, but decided not to get a SIM card. I used my phone only to listen to music and connected to WIFI once a week for a few minutes. Without the binging distractions of a little screen, I felt inspired, tuned in to my surroundings, and open to hearing the voice of my Creator. 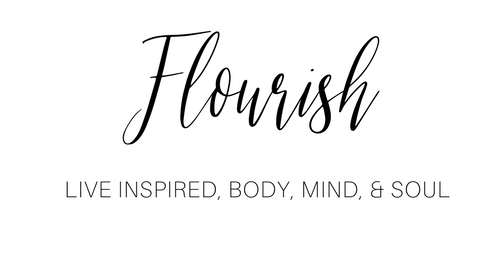 It was then that I came up with the idea for Flourish. If you can afford to, try to disconnect from technology and social media when you’re on a trip, or even on the weekend. I promise, you’ll feel refreshed and inspired. In a village in Mozambique, totally unplugged. There’s so much more I could say, about what I’ve learned, from my mistakes, my successes, joys, and disappointments. From habits I’ve learned to cultivate (the hard way). All I know is, I must have left age 19 with a lot to learn. I can only conclude that I’m in that same place now at (almost) 29. If you’re a twenty-something, what have you learned so far? If you’re a decade beyond, what did you learn? Also, to answer your question i relate to what you said about not comparing oneself to other and unplugging.Also, I have also learned to be patient but at the same time to keep pushing because eventually things work.